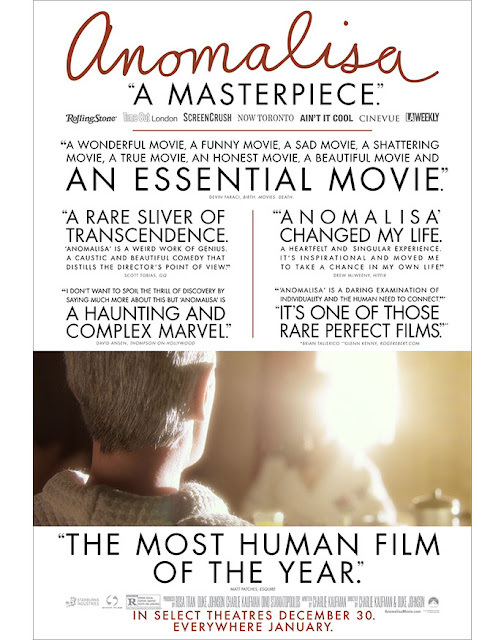 From the director and writer behind 'Eternal Sunshine of the Spotless Mind' comes an animation that critics are raving about, already calling it the most 'Human' movie in recent memory. Anomalisa tells the tale of Michael Stone, a man who is tired of his mundane life, and on the night of a business trip, meets a woman who may change his life forever. Animated using felt puppets, the realism and attention to detail is breathtaking, and I am excited that this has every chance to take the Academy Award from Pixar's 'Inside Out', truly upping the game in the genre dominated by the animation studio.